Lambodar, Vakratunda, Gajananda’s birthday…… Ganesh Chaturthi was celebrated in the Witty premises at Udaipur. 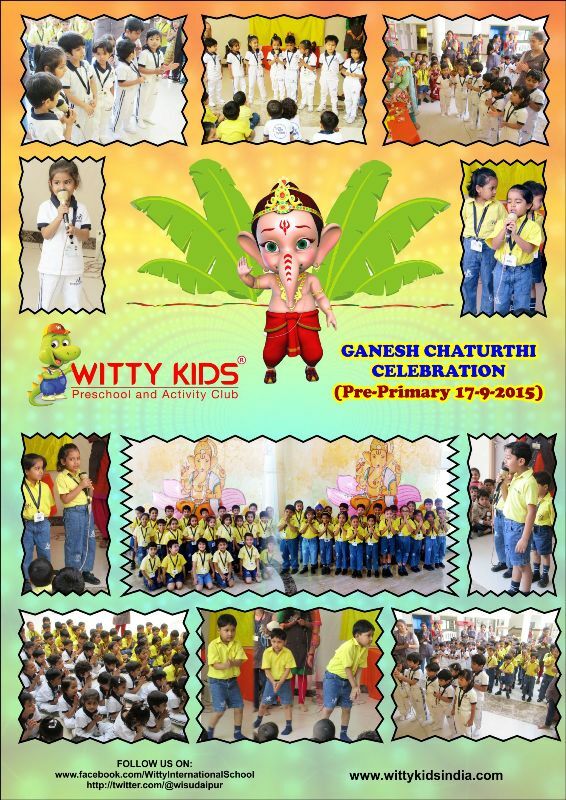 The students enlighten the importance of the day by chanting shlokas and dancing on number to hail Lord Ganesha. They also sang a prayer to invoke his blessings. They had fun doing the artistry of Lord Ganesha in their scrap book. 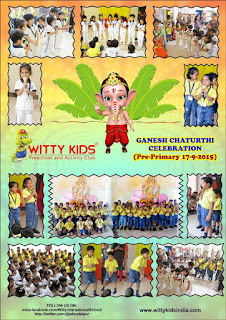 Students of Grade I & II enjoyed watching the movie “Mera Dost Ganesha”.